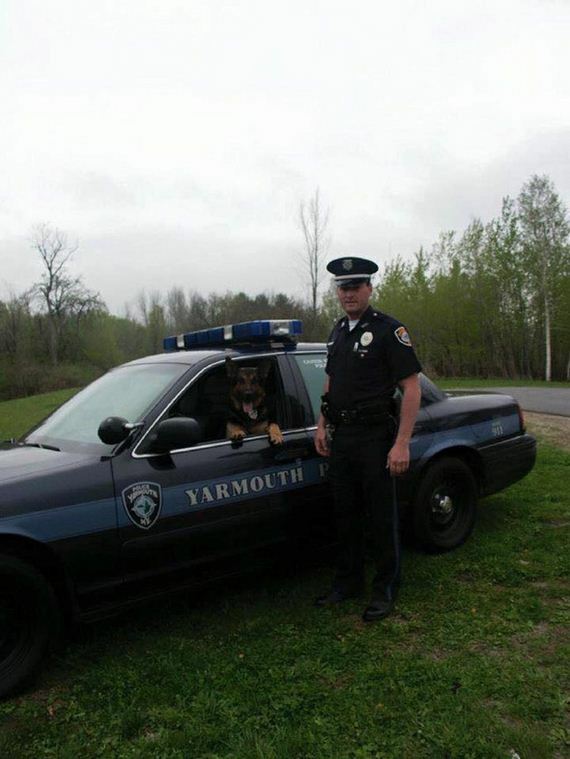 A little over a decade ago, the town of Yarmouth, ME, appointed their first-ever police dog to the brand-new K9 department. The German Shepherd, named Sultan, served on the force for nine years before retiring in 2012. 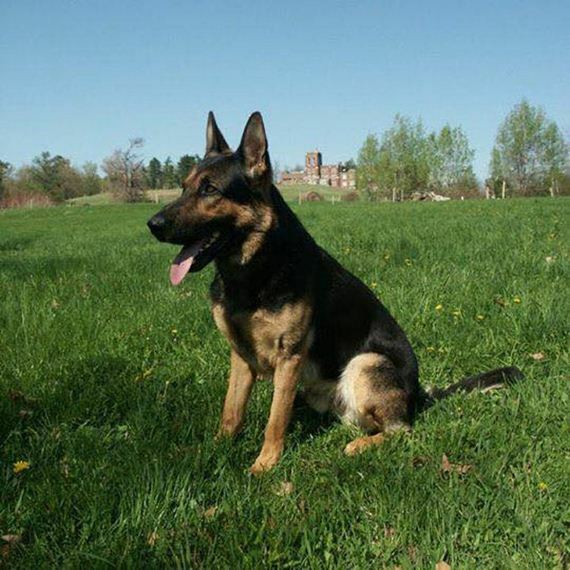 Working alongside officers from various counties in southern Maine, Sultan tracked clues to close cases, chased down bad guys, and did his best on the job every single day. He was pretty much a superhero. 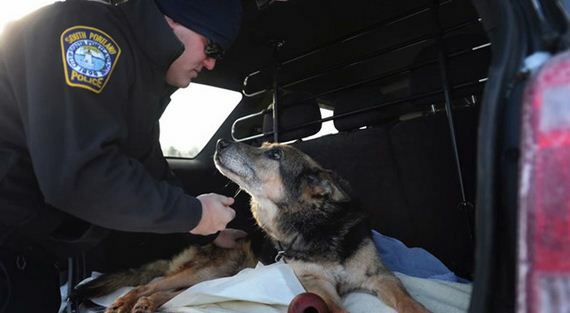 But when his parter, Officer Michael Vogel, took a new job in Florida, the department decided to retire the then 10-year-old pup. With more than 1,000 calls answered by the impressive pooch, he had definitely earned some downtime. 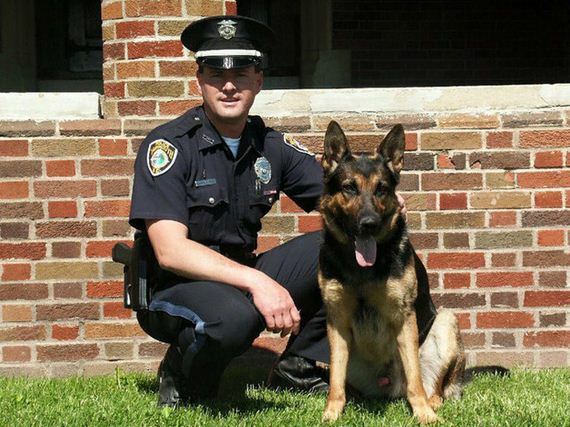 He was adopted as a pet by fellow K9 Officer Shane Stephenson. Unfortunately, after only a few short years of enjoying retirement, Sultan’s health suddenly began to fade fast. It started with arthritis and escalated quickly when Sultan suffered a series of strokes. There were days when he couldn’t even lift his head to get food and water. Stephenson knew he had to make the difficult decision to say goodbye to his friend, but wanted to make sure it was a farewell fit for such an admirable officer. 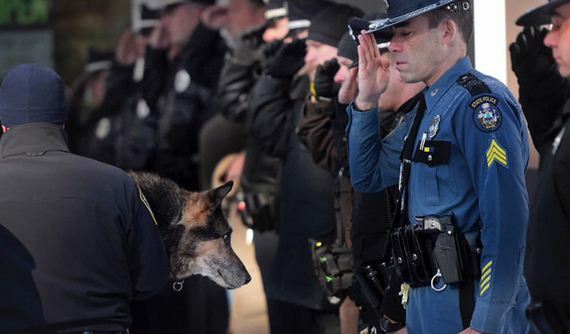 Dozens of K9 cops from around the state made their way to Yarmouth for Sultan on his last day to honor their canine comrade. Too weak to walk, Stephenson carried Sultan into the Yarmouth Veterinary Center while the officers gave him one final salute. The police department’s official Facebook page has changed its profile photo to a picture of the young pup and expressed their deep sadness at losing such an important member of their team. This video follows Sultan’s last day, still bright eyed and brave as ever. We recommend grabbing some tissues before hitting play. 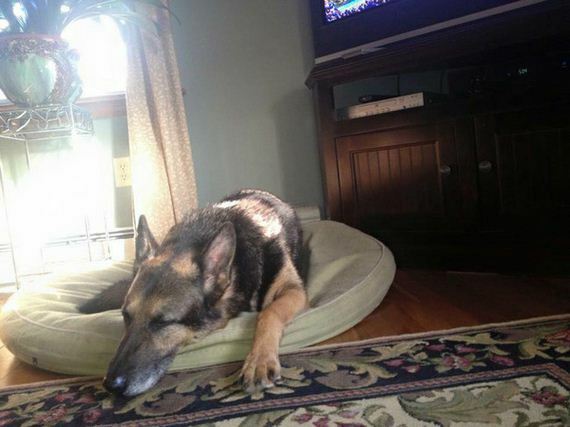 Officer Vogel described Sultan as a gentle yet protective member of his family for their nine years together, something Stephenson echoed after welcoming the pup into his home. Sultan’s legacy already lives on in each new crop of canines joining the force. This amazing animal will not be forgotten.